What Makes M1 Tapes Special? "The best tape measure in the world"
Measure + Mark Without A Pencil! Save 25-60% over the big box chains! Why measure twice? 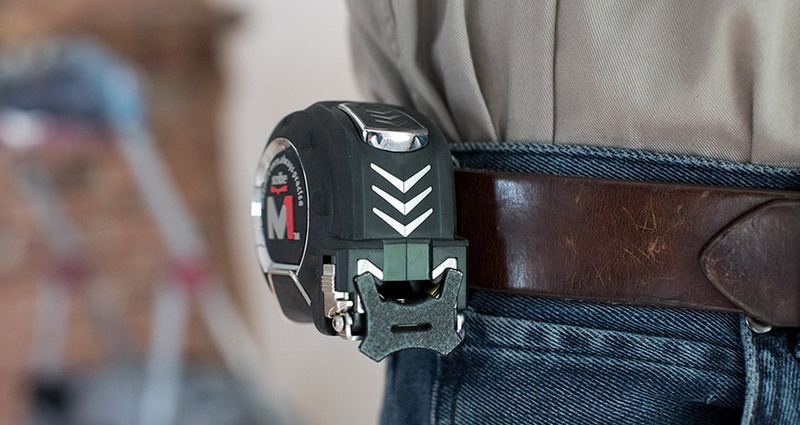 Measure and mark 3 times faster with the M1. 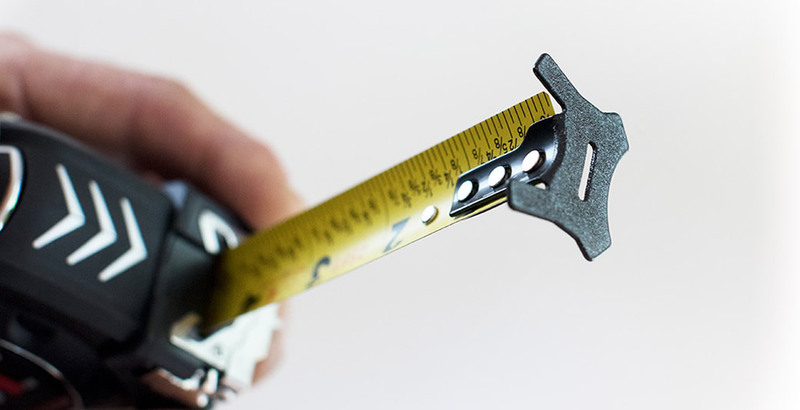 Every home has at least one tape measure; every pro has several. It’s the tool used more than any other, but it has not changed substantially in 80 years—until now. 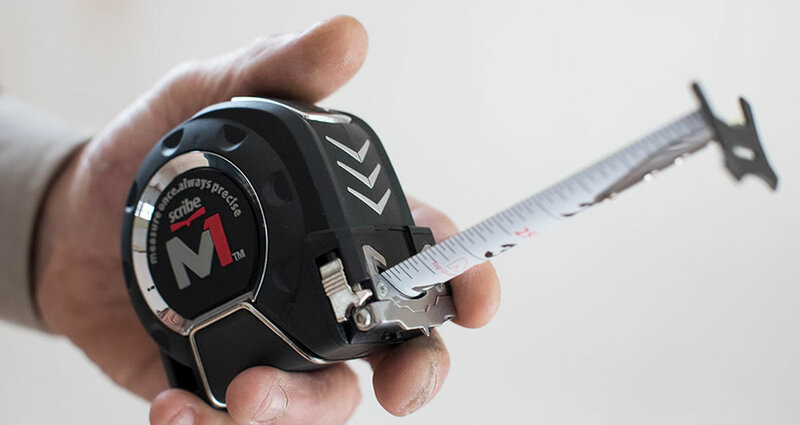 The M1 is the only tape measure you will ever need. The patented Sight Scribe allows you to measure and mark without using a pencil. The double-sided tape and hooks allow you to take your measurements from either side. You can even use the under-side of the M1 as a straight edge. The heavy-duty thumb lock gives an accurate reading every time by pinching the blade, ensuring that it won’t move. Measure Once – Always Precise. Premium tapes cost $1 per foot. By selling direct and cutting out the middle man, we are able to give you the best prices around. Want to receive information about sales, special events, tips and tricks for using your M1 Tape, and more?